From next month, lal batti or red beacons will be banned for everybody including the President, Prime Minister and the Chief Justice of India. "There will be no exceptions," said Finance Minister Arun Jaitley today, announcing after a cabinet meeting that only emergency vehicles like fire engines, ambulances and police vans can have beacons. "Blue lights, used often for the car preceding VIPs, will be allowed only for emergency vehicles," said Mr Jaitley, explaining what the government calls a move to end "VIP culture". The beacons will go but restrictions will continue when the most protected leaders of the country are on the move, especially the President or PM. In recent meetings, Prime Minister Narendra Modi had reportedly been emphatic about ending 'lal batti culture' - a term that has come to represent massive public inconvenience to make way for "VIPs" riding in cars with flashing red lights and hooters. 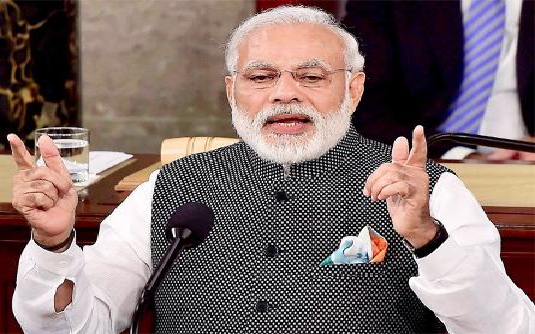 PM Modi demonstrated his disapproval just last week, when his convoy moved "in normal traffic" - without any route restrictions or road blocks - to the Delhi airport to receive Bangladesh Prime Minister Sheikh Hasina. Usually, policemen put up barricades and sanitise the route of a dignitary, leaving people waiting interminably for the roads to reopen to traffic. The video of an ambulance carrying a wounded child being blocked by policemen because of a visiting leader's convoy in Delhi earlier this month went viral online and drew angry reactions. The PM reportedly called a meeting last week to discuss how to pare down the use of lal batti cars. In 2014, the Supreme Court said the use of beacons should be restricted and only constitutional authorities should be allowed to use it. "Red beacons and multi-toned horns are reflective of Raj mentality and are an antithesis of the concept of a republic," the judges had said. One of them, retired Justice GS Singhvi, told that the PM's decision was "great and highly commendable". Two Chief Ministers have already renounced beacons - Devendra Fadnavis in Maharashtra and Amarinder Singh in Punjab. After Test Drive PM Modi: Lal Batti Banned From May 1, No Exceptions "Blue lights, used often for the car preceding VIPs, will be allowed only for emergency vehicles," said Mr Jaitley, explaining what the government calls a move to end "VIP culture".